Prepare yourself and the bridesmaids for your wedding day. Ideally 2/3 months prior as you will know more about your hairstyle, colour scheme and dress so we can then explore the look you want with a consultation. We will also discuss the level of make up you feel comfortable wearing and make sure you are happy with the end result at the trial. I will go to the location of your choice and make sure you receive an professional and friendly service throughout. I start with a skincare routine to prep the skin already decided at the trial. 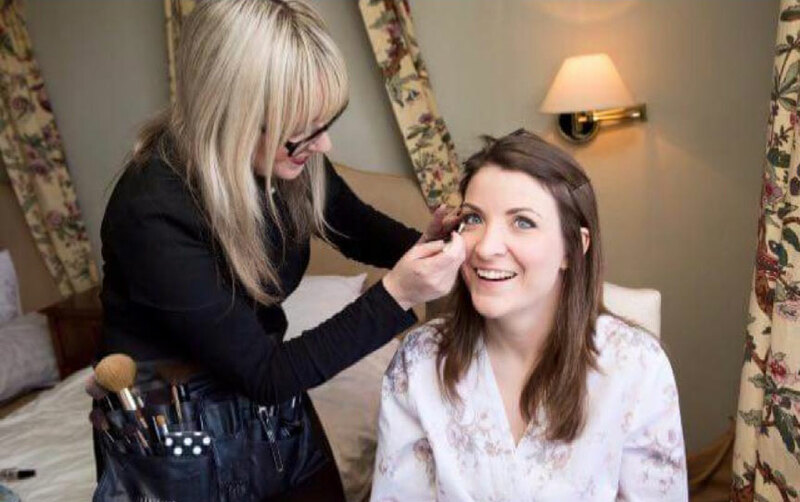 The bride is made up last to ensure the make-up is at its freshest. I will supply you with enough lipstick to keep you going for the whole day. 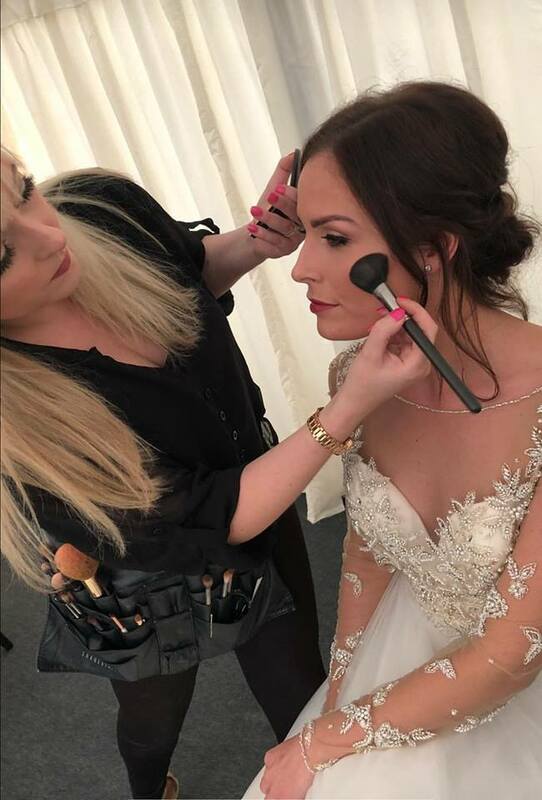 Each make up application takes approximately 40 minutes on the day and will last all day and look great in photographs. I will keep you calm and make sure everything is running smoothly throughout the morning so when you arrive to marry your love you will be glowing and looking and feeling perfect. This is a great option if you are having your wedding abroad or even if you are just looking for a new look. I will go through what is right for you and show you tips and tricks along the way. I will teach you each step and get you to practise as well so you feel confident with the techniques. You will then be able to take away a list of the cosmetic products recommended and carefully selected by me.